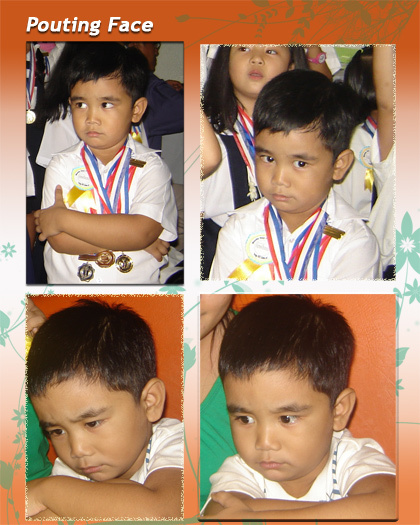 Although we have a dog in the house, ngayon ko lang napansin wala pala silang pic ni Sean together. So I will just be posting Sean’s other pictures with the animals at the zoo and other places we went to. 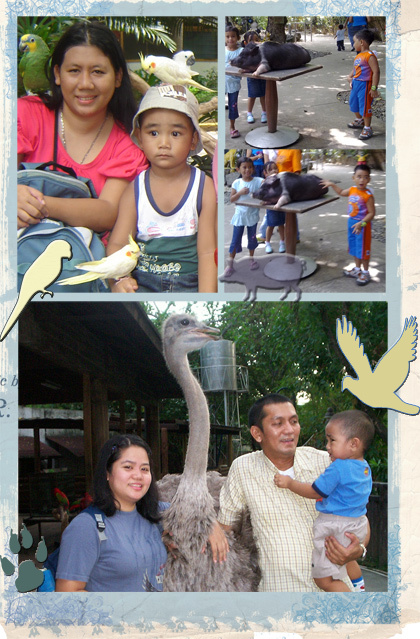 First pic was taken at Manila Ocean Park. Sean was so amazed with that odd looking big fish. 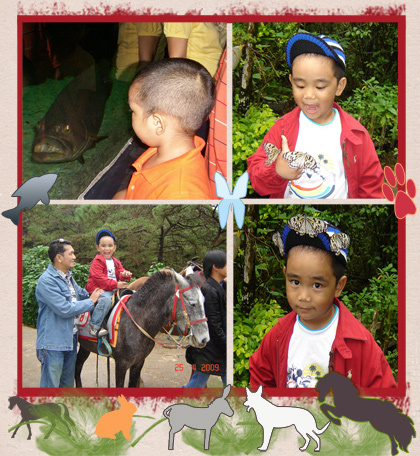 Last three pics were taken at Camp John Hay in Baguio City. Sean used to be afraid of animals but now he’s outgrown it. These pictures were all taken in Manila Zoo. 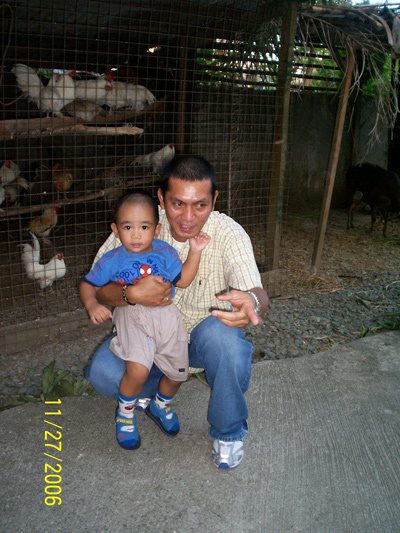 Sean was still afraid here when we posed just next to the ostrich at the Kids Zoo, taken when he was 1 year and 6 month old. But 2 and 3 years later he’s no longer afraid. Look how he touches the boar and holds the parrot in the upper picture. 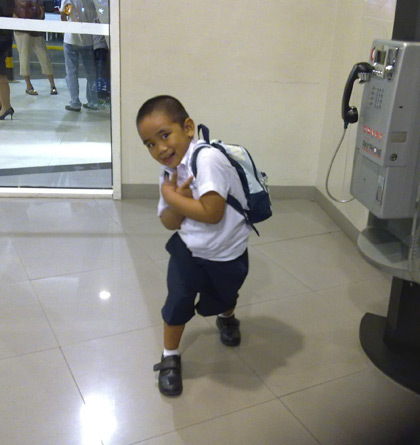 Come join us at Mommy Moments and share with us your special moments with your kids. Looks like a horse riding is popular all over the world. It is the same i Copenhagen Zoo (where I live). Hey great pics! What a great place is manila ocean park. What’s the big fish in the pic? Hi kaibee, I’m sorry, I don’t remember the name of that big fish.